You’re invited to the annual 2017 Georgia Veterans Day Association Inc., Veterans Day Parade and Freedom Ball to honor, support and thank all who have served and are currently serving our Nation in the United States Military. The Parade will start at 11:11 hours, and will begin in Downtown Atlanta on Peachtree Street and end at the intersection of Centennial Olympic Park Drive and Marietta Street. The Freedom Ball will be held at the Georgia Aquarium. Social Hour and Silent Auction starts at 6:00 pm, Dinner and Military Program begins at 7:00 pm and the program ends at 10:30 pm. The theme this year is the “WWI Centennial” in honor of the 100th Anniversary of the start of America's military involvement in The Great War, we are paying special honors to those who fought and died in World War I. This is a great opportunity for everyone to learn more about this historical conflict and to understand the very origins of Armistice Day which later became Veterans Day. 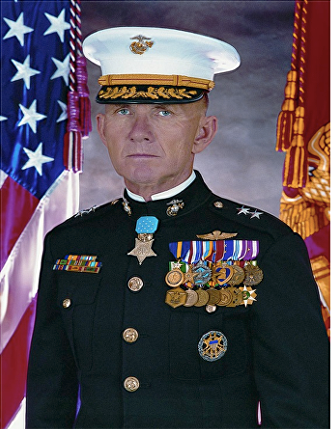 We are pleased to announce the 2017 Grand Marshal and Freedom Ball Keynote Speaker MAJ GEN James E. Livingston, USMC (Ret), and recipient of the Medal of Honor. For more information about the parade and a bio on MAJ GEN Livingston go to the Georgia Veterans Day Association, Inc. home page.